The only object Falco's artificial intelligence has had trouble identifying in test runs was an elk swimming in the sea, according to the ferry's captain. 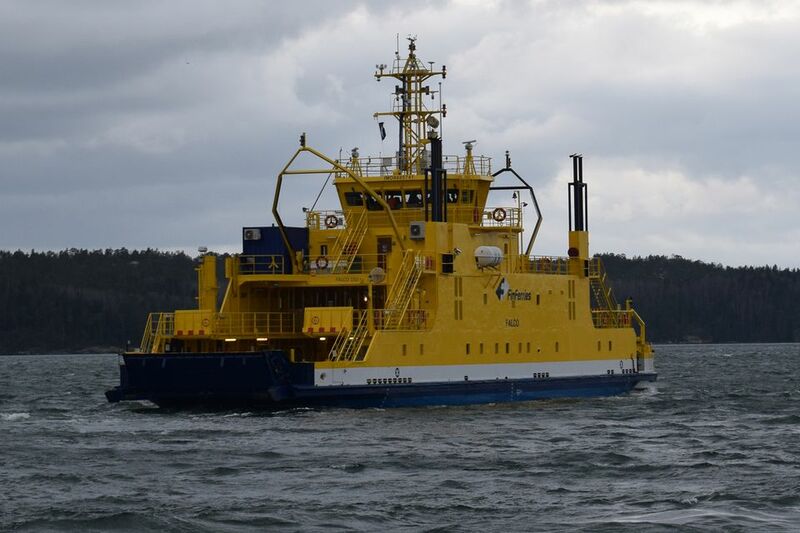 Falco, a ferry which has been transformed into a self-driving vessel, made its way through choppy seas of the Turku Archipelago and navigated itself from the island of Pargas to Nagu with no problems during a demonstration run on Monday. The windy conditions did not seem to affect the vessel's steering systems, which took care of everything from dock to dock. Also aboard were representatives from Finferries and Rolls-Royce, the two firms that developed the tech enabling the futuristically-equipped ferry able to operate by itself. Rolls-Royce's VP of innovation, engineering and technology, Oskar Levander, was among those aboard Falco on the windy trip across the water. "I think this is one of the shipping industry's most historic days. This is the world's first autonomous and remote-controlled ferry that we're demonstrating today," Levander said. He said he thinks that the technologies the companies are testing will be installed on most ferries in the future. Levander said that the tech will increase safety as well as make the ferry business more economically viable. 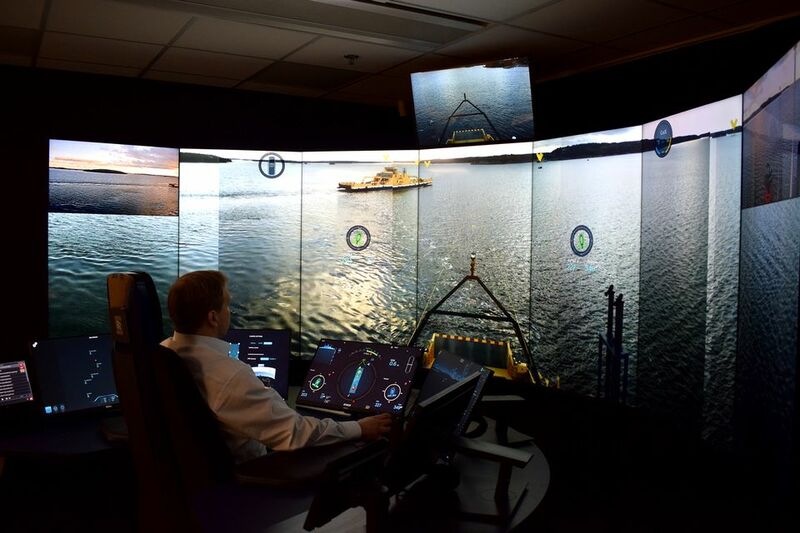 The lion's share of shipping and ferry accidents are caused by human error and automated navigation systems can be of significant benefit, according to Levander. "When you combine this with better sensors, new night-vision cameras and different radar systems, we get a much better overall picture [of the vessel's surroundings]. We also use artificial intelligence to identify every object around the ferry," he said. "This is one way to make ferries safer. Then we have a captain with access to remote controls, if needed," Levander said, explaining that the AI is able to identify different types of boats in the area and is always learning to identify different types of boats and ships. 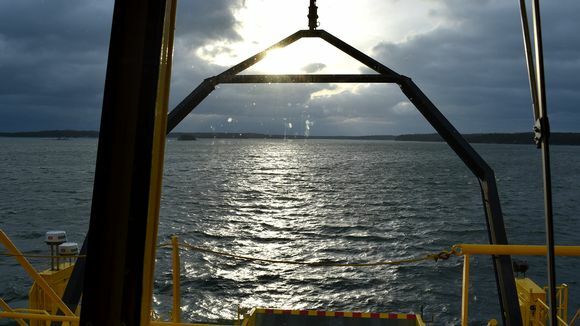 Finferries' captain Tuumas Mikkola said the ship's AI did have difficulty identifying one object in the water, however. "The only time the system couldn't identify something in the water during a test run, it was a swimming elk," Mikkola said. Although Falco is capable of moving about on its own, Finnish law still requires that there is a crew aboard the ferry, according to Rolls-Royce's Levander. 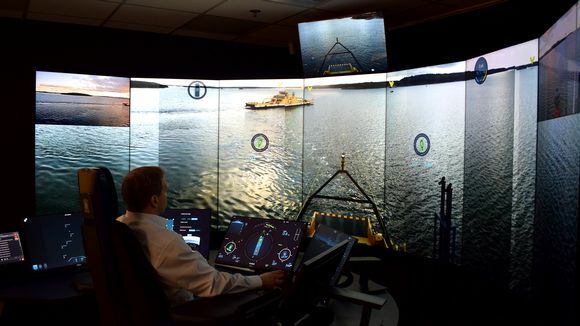 "As we see it the ship's bridge can be unoccupied in the future, but crew can still steer the ship from a land-based control room. 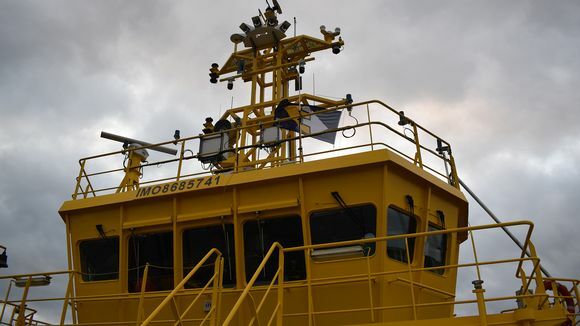 A large portion of the sea journey can be automated, but in more demanding circumstances a captain can take over the controls remotely," he said. In this instance, Falco's remote control room is about 30km away in a Finferries office in Turku. 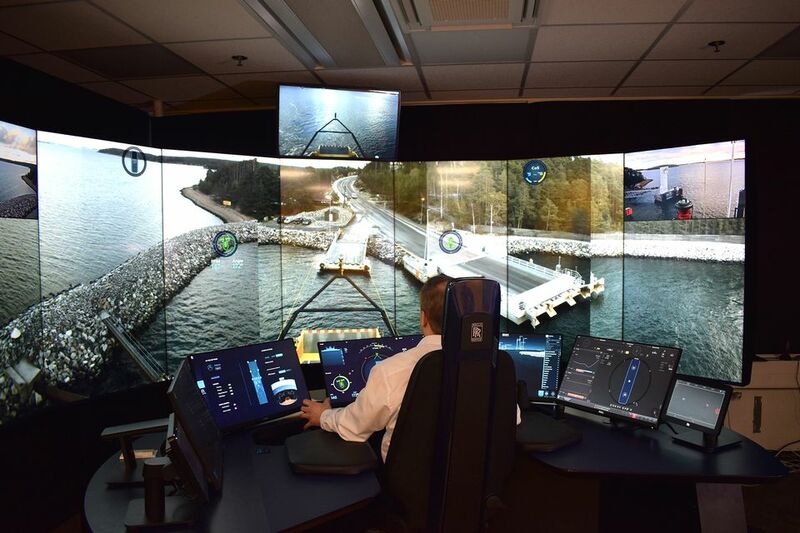 On a curved wall of giant screens, Captain Mikkola sees everything captured by the ferry's cameras and sensors. He sees Elektra (a hybrid-electric ferry shuttling between the islands) and other ships which are identified and labelled. The ferry's master controller, Matti Pöyli, is aboard the ship and ready to take over the controls if needed. But with a few motions on steering knobs, Mikkola gently manoeuvres the ferry to its dock in Pargas. The biggest difference in steering the ferry remotely - as opposed to the bridge - is the loss of sensory feedback, according to Mikkola. "It takes a moment to get used to not hearing the howling wind or the rumble of the motor from the engine room," he said. 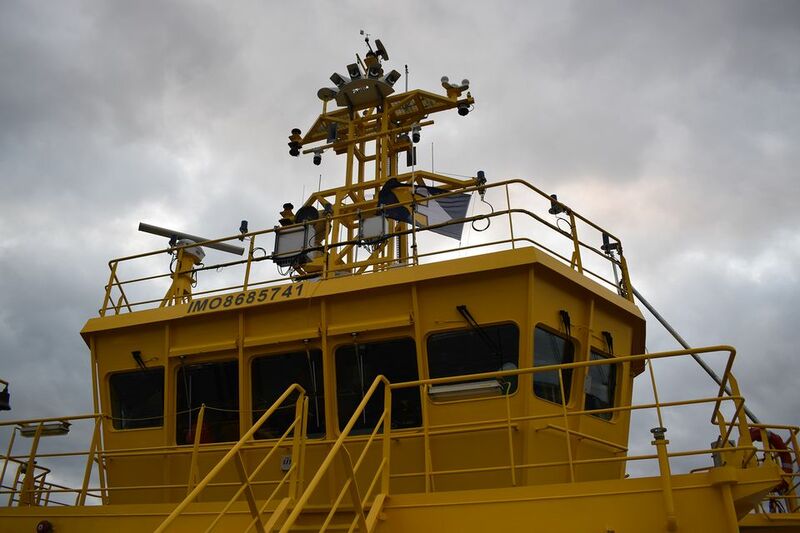 "Safety is of chief concern and if, for example, the ferry loses contact with the control room in Turku, the ferry goes into a standstill mode so it doesn't drift away," he said. Finnish law still doesn't permit remotely-controlled or autonomous ferries to be used, apart from testing them on the Pargas-Nagu route. 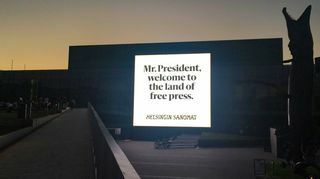 However, just outside western Finland's Eurajoki there is a sea area which can be used for similar tests, but getting permission to do so required a law change. There is significant interest in autonomous technology within the shipping industry. 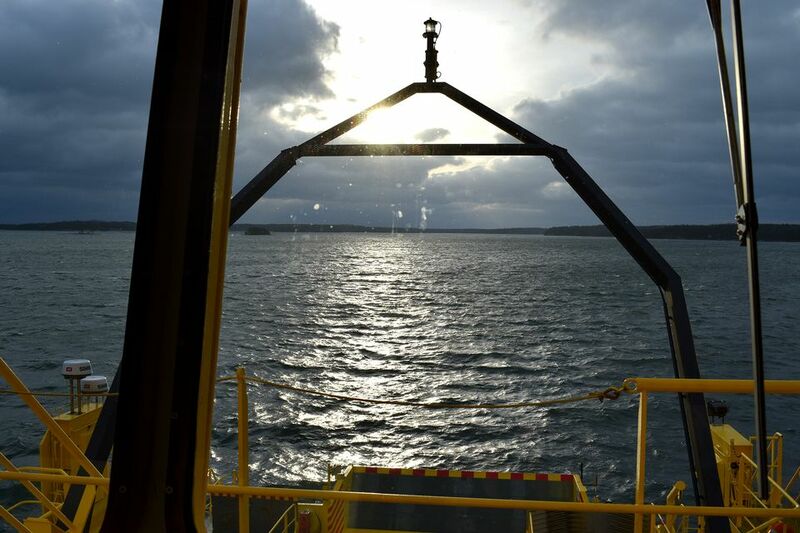 Many companies in Finland, including marine equipment firm Wärtsilä, are eager to bring autonomous technology to the sector. The long-haul shipping industry is also eager to get their vessels automated, as well. Levander said that he thinks officials in Finland also have a positive view of the developing technology and that he thinks laws will eventually be changed so that large-scale remote- and computer-controlled shipping can become a reality in the long run. Finferries' CEO Mats Rosin said he agreed with Levander. "I think [autonomous technology] is coming along, I know that it's being worked on in Finland and in the seafaring organisation IMO (International Maritime Organisation). But it will take some time before we reach that goal," Rosin said. 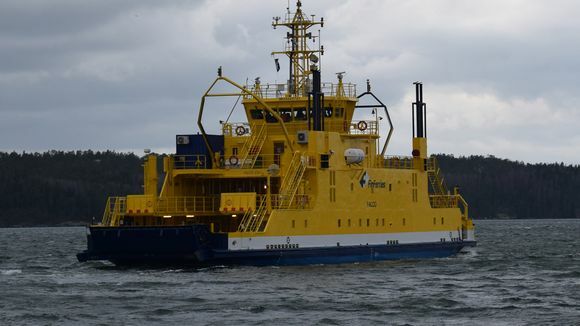 "If we connect the environmentally-friendly technology used by the Elektra ferry with this new type of tech, I think we will be able to significantly reduce energy use in the future," he said.